Chaitanya Giri is a Research Scientist at the Max Planck Institute for Solar System Research, Germany. How prepared is India for threats from space? Catastrophes originating from outer space are no fiction. They are recognized as potential and credible threats by nations motivated to defend both the Earth and their national interests. So these nations are continually tracking comets and asteroids, deploying space missions to visit these objects and study them closely, and planning to deflect any object found perilous to Earth. 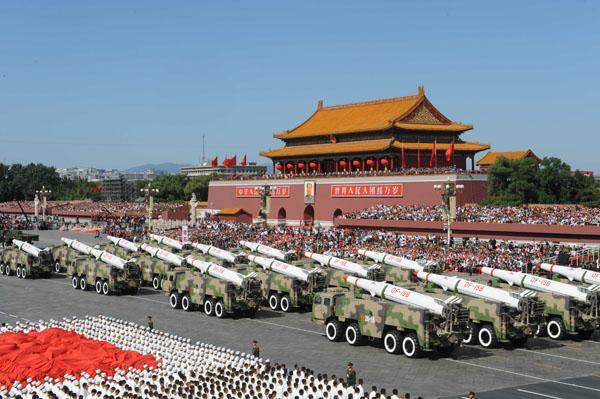 Don't Mess with Nuclear-Armed China! In response to the recent U.S. hostility (e.g. Ukraine), Russian President Putin famously said: Vladimir Putin: Don’t mess with nuclear-armed Russia. No Chinese leader has publicly taken a similar position, yet, despite the recent U.S. provocative actions (U.S. warship sails close to Chinese artificial island on South China Sea). But as a Chinese-American, I must warn my fellow Americans now: don’t mess with nuclear-armed China! Taliban insurgents loyal to rival leaders have been fighting in a southeastern province of Afghanistan, where about 50 men on both sides have been killed in two days, an Afghan official said Sunday. Fighters in a breakaway faction led by Mullah Mohammad Rasool have been joined by Islamic State militants, according to Mohmand Nostrayar, governor of the Arghandab district of Zabul province. SIMI VALLEY, CALIF. – Pentagon leaders believe pairing soldiers with machines in combat will give American troops an edge on the battlefield of the future. China on Sunday launched its latest remote sensing satellite on a Long March 4B rocket from the Taiyuan Satellite Launch Centre in Shanxi Province in North China. The Yaogan Weixing-28 payload blasted off at 15:06 Beijing time (09:06 UTC), making it China’s 14th orbital launch of the year so far. The satellite was made by the Shanghai Academy of Spaceflight Technology (SAST), under the China Aerospace Science and Technology Corporation (CASC), the main contractor for the Chinese space program, but little is known regarding the uses of the Yaogan Weixing series of remote sensing satellite. Chinese media describe them generically as being mainly for scientific experiments, land resource surveying, crop yield estimates and disaster prevention and reduction and other fields. However, western analysts believe the series of satellites are of a military nature, using electronic intelligence (ELINT), electro-optical and synthetic aperture radar sensing equipment. 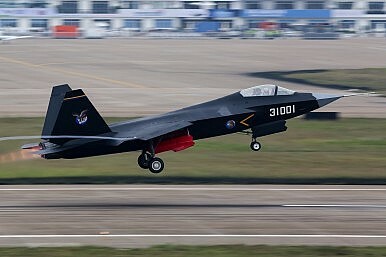 China recently conducted a flight test of a new missile capable of knocking out U.S. satellites as part of Beijing’s growing space warfare arsenal. The test of a Dong Neng-3 exoatmospheric vehicle was carried out Oct. 30 from China’s Korla Missile Test Complex in western China, said two defense officials familiar with reports of the test. A Chinese press report also provided details of what was said to be a missile defense interceptor flight test carried out Nov. 1. Photos of the missile’s contrails were posted online. However, the defense officials said the DN-3 is primarily a direct-ascent missile designed to ram into satellites and destroy them, even if intelligence assessments hold that the weapon has some missile defense capabilities. State Department and Pentagon officials declined to comment on the anti-satellite test. This is the latest installment of our “5 Questions” series, in which we feature an expert, practitioner, or leader answering — you guessed it — five questions on a topic of current relevance in the world of defense, security, and foreign policy. Well, four of the questions are topical. The fifth is about booze. We are War on the Rocks, after all. We’re joined this week by Congressman J. Randy Forbes (R-VA), the Chairman of the House Armed Services Seapower and Projection Forces Subcommittee. 1. Was the recent Freedom of Navigation operation in the South China Sea too little too late? What should President Obama order the Navy to do next? I would say better late than never, because these operations do send an important signal about U.S. commitment to freedom of the seas and international law. With that said, the failure of this Administration to conduct these operations between 2011 and last month sent precisely the wrong signal to both Beijing and America’s allies in the region. And by publicly deliberating and delaying for so long, I fear the White House has called into question both its commitment to the region and its ability to respond to provocations around the world. SANLIURFA, Turkey — ABOVE a restaurant specializing in sheep’s head soup, with steaming tureens of broth in the window, two young Syrian journalists took up residence in this ancient town in southeastern Turkey. They had fled Raqqa, the stronghold in Syria of the Islamic State, or ISIS, and devoted their time to denouncing the crimes of the barbarous jihadi group. Today, their second-floor apartment is a crime scene, with a red police seal on the door. In December 1988, Jörg Winger was a West German Army radio operator eavesdropping on Soviet military channels when he overheard a startling message: The Russians wished him Merry Christmas by name. “That was the moment where we realized that we had moles on the base,” he recalled. Mr. Winger, now a television producer, and his wife, Anna LeVine Winger, an American author, later harvested that incongruous holiday greeting as grist for a retro series, “Deutschland 83.” They consulted a historian who provided an even more dramatic narrative arc: In 1983, according to recently declassified documents, the Russians apparently became convinced that a NATO nuclear training exercise code named Able Archer 83 was a cover for an actual nuclear strike against the Warsaw Pact nations. This week the Obama administration once again declared the peace process, and hopes for an agreement between Israelis and Palestinians, closed for the season. White House officials stated that an agreement between the two sides "isn't in the cards" during what remains of the Obama presidency. Having worked on the peace process for Republican and Democratic secretaries of state, I can't recall a single administration that ever made such a statement. This was not the first time President Barack Obama authorized such a declaration; he made a similar statement in March this year. 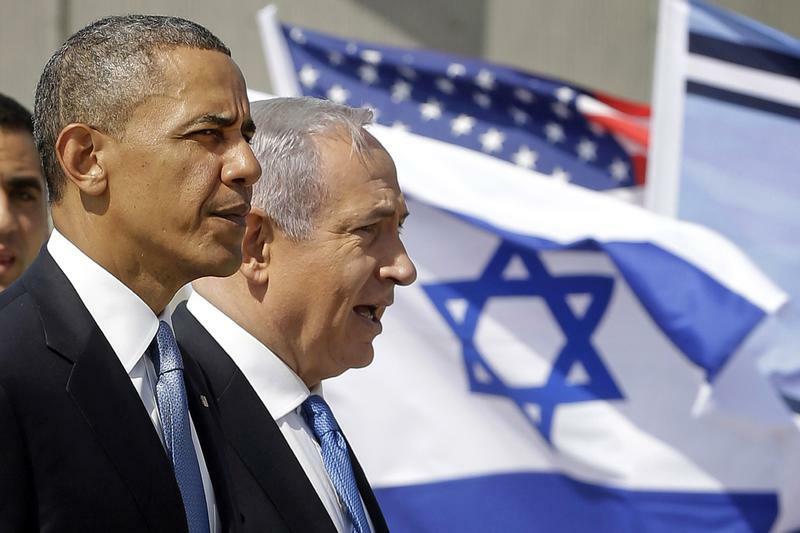 But the timing now -- just before the arrival of Prime Minister Benjamin Netanyahu, and with roughly a year to go in Obama's presidency -- is curious indeed. It's a stunningly honest admission, particularly for a president who set such high goals seven years ago. But was it a wise one? What is the Obama Administration up to? The excellent report LBC aired on how Lebanese Foreign Minister Gebran Bassil has bought $22 million worth of real estate, since 2005, draws an unmistakable irony: While young Shiite men are dying in Syria — presumably defending minorities against a possible ISIS onslaught — minority charlatans like Bassil are busy accumulating wealth. Bassil is not the only corrupt government official the Shiites are defending. Stories of the epic corruption of Bashar Assad’s cousin,Rami Makhlouf, were famous long before the outbreak of the Syrian uprising in 2011. 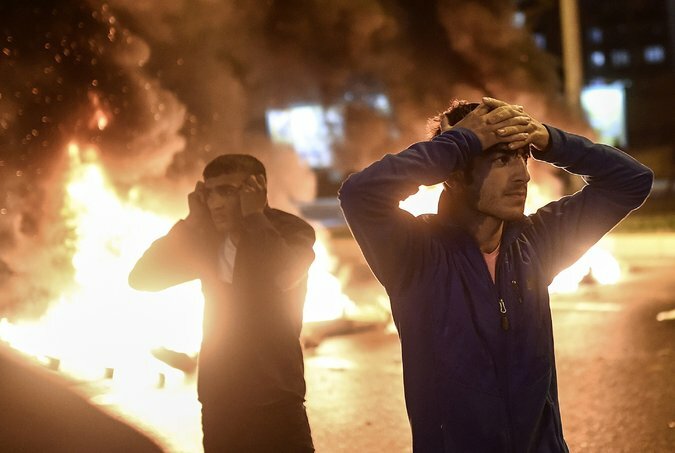 Corrupt Christian Bassil and Alawite Makhlouf are the leaders of the minorities that Shiite men — along with poor Alawite men and women — are dying to protect. Perhaps it is time for Hezbollah leader Hassan Nasrallah to come clean with the Shiites as to why he is sending their men into the Syrian inferno. Nasrallah himself has been so confused about Hezbollah’s involvement in the Syrian war that his justifications to his supporters have often been contradictory. “It is hard to imagine a more terrifying prospect than an extremist group like ISIS armed with nuclear or radiological weapons.” I wrote that statement just a few weeks ago in a blog post for The Huffington Post after an Associated Pressinvestigation revealed that nuclear materials smugglers have been trying to sell highly radioactive compounds to the Islamic State for use in a radiological weapon or “dirty bomb.” It seems like a fairly obvious assessment to me. The reason that Cirincione and his fellow arms control analysts want to beat the drum about the risk of nuclear terrorism is that it feeds the public fear of nuclear weapons. … Scaring the public about nuclear terrorism — even if it’s just in the form of a dirty bomb — benefits their agendas. MOSCOW (AP) — From reading Russia’s major newspapers Tuesday, it would be hard to know the country is facing a vast doping scandal. Most of the country’s major dailies followed the government’s lead in playing down the accusations from the World Anti-Doping Agency commission, which Monday accused Russia of operating a state-sponsored doping program in track and field. The scandal was typically confined to a small item in the sports pages, with only two business papers and the sports dailies giving it front-page space. “Are they taking Rio away from us? !” read the headline on the front page of Sport Express, referring to calls to ban Russia’s track and field team from next year’s Olympics. Russia has for years reveled in its re-emergence as a sports superpower, the pinnacle coming when it topped the medal tally at its home Winter Olympics in Sochi last year. Now that prestige is again in jeopardy, with the country’s internal intelligence service, the FSB, accused of running surveillance on the Olympic doping lab. Worse, it comes at a time when the country is already under pressure over its hosting of the 2018 soccer World Cup amid the scandals rocking FIFA. MOSCOW (Reuters) - Three serving or former Russian soldiers have been geolocated by photographs in Syria, including locations near Hama, Aleppo and Homs, Russian bloggers said on Sunday, suggesting the Kremlin’s operation stretches well beyond its air campaign. Russia first launched air strikes to support President Bashar al-Assad in Syria’s four-year civil war on Sept. 30 but has repeatedly said it has no intention of mounting a ground operation. It has instead said it will limit its help to military trainers, advisers and deliveries of military equipment. Sunday’s report by Conflict Intelligence Team (CIT), a group of Russian investigative bloggers, said that photos on social media had been used to geolocate three Russian serving or former soldiers in Syria. The boneyard at Davis-Monthan Air Force Base in the U.S. state of Arizona may offer the solution – an interim one perhaps – to two critical capability gaps that carrier air wings (CVWs) of the United States Navy are facing for the foreseeable future. 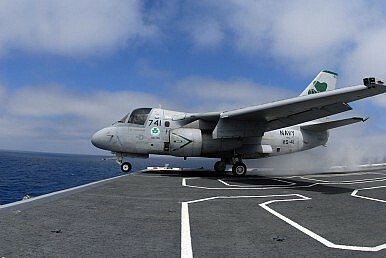 A Hudson Institute report, Sharpening the Spear: The Carrier, the Joint Force and High-End Conflict, which was released in October highlights, among other issues, the relatively short range of the CVW’s strike aircraft and its limited anti-submarine warfare (ASW) repertoire. Also released last month was Retreat from Range: The Rise and Fall of Carrier Aviation, a hard-hitting analysis by Dr. Jerry Hendrix of the Center for a New American Century (CNAS) that alludes to the CVW’s lack of deep-strike capabilities. WASHINGTON (Reuters) - The U.S. National Security Agency is ready to end later this month collecting Americans’ domestic call records in bulk and move to a more targeted system, meeting a legislative deadline imposed earlier this year, according to a government memo seen by Reuters. The memo, sent on Monday from the NSA to relevant committees in the U.S. Congress, stated that the spy agency “has successfully developed a technical architecture to support the new program” in time for it to become operational as scheduled on Nov. 29. In stating the programme’s progress and the NSA’s intent to use the new system, the memo appeared to rebut claims by Senate Intelligence Committee Chairman Richard Burr, a Republican security hawk, who told Reuters last week that he anticipated the new programme would never be used because it was overly cumbersome and slow. Perhaps the greatest academic growth area over the past twenty years or so has been “European integration studies”, a field that has both analysed and boosted support for the European “project”. Almost all of its practitioners have proceeded from the assumption that the process of integration is – must be – “irreversible”. It is the intellectual equivalent of the principle of the Europeanacquis communautaire by which powers, once surrendered or pooled, cannot be retrieved. Or, more unkindly, one might see it as a “European Brezhnev doctrine”, by which socialism, being inevitable, could not be allowed to fail in any country in which it was already established. But what if this is not so? What if, as the Croatian political scientist Josip Glaurdic, an expert on the collapse of Yugoslavia, once quipped, what we really need is a school of “European disintegration studies”? The stark truth is that in the past century or so of European history there have been many more examples of disintegration than integration. There was a phone number, and nothing else. So began Reinsfelder’s career at the National Cryptologic School, which functions as a sort of college for the National Security Agency and the intelligence community. Reinsfelder, a high-school Spanish teacher with multiple graduate degrees, took the job not knowing what it would be; they couldn’t tell him until he got inside and got security clearance. 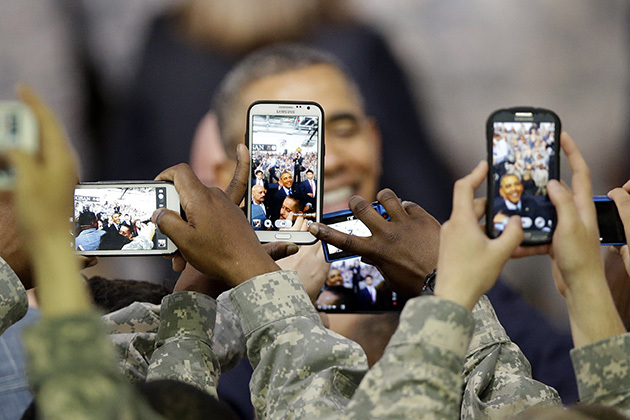 US military personnel take photos of President Barack Obama after his remarks to US Forces Korea and Korean troops in Seoul. For nearly five months, military officials and officers have continued to use phones that can be attacked by the “Stagefright” bugs, a collection of flaws in the phones’ software code that gives attackers access to everything that flows through compromised devices. The bugs can expose those devices to hackers through a simple text message or a visit to the wrong web site. Congress passed legislation earlier this year that brought an end to the NSA’s indiscriminate gathering of U.S. phone metadata, a practice exposed by former NSA contractor Edward Snowden more than two years ago. In a newly disclosed memorandum from 1963, the Director of Central Intelligence advised the Secretary of State that the CIA had “good reproductions” of Soviet satellite imagery. This puzzling remark appears to suggest a previously unrecognized capability of the CIA. The declassified memo summarizes a July 3, 1963 telephone conversation between DCI John McCone and Secretary of State Dean Rusk. It was discovered by researchers David M. Barrett and Eric P. Swanson. According to the memo, McCone said that the U.S. had “for some time tried to determine whether the Soviets were actually photographing and the extent they were from satellites.” The DCI said “it has been determined they have been and we have good reproductions of what they are getting.” The DCI was to brief the President on the subject the following week. SYDNEY – All three bidders competing for a 50 billion Australian dollars ($35.3 billion) submarine contract have been targeted by Chinese and Russian cyberattacks, according to local media reports. The submarine builders in France, Germany and Japan have all been provided with the highly confidential technical requirements for the Royal Australian Navy’s new submarines, which will form the basis for each country’s proposal. The bidders declined to publicly say which countries were the source of the espionage, but sources privately indicate that China and Russia are responsible. Prague, Nov 5 (CTK) - The Platform of European Memory and Conscience (PEPS) opened yesterday a new web site on the Czechoslovak Communist secret service StB giving an insight into its structures and work between 1969 and 1989, PEPS executive director Neela Winkelmannova has said. The interactive pages of iBadatelna, a documentation portal on the StB, are in the Czech-English version. They are to help understand the totalitarian history and its influence on present-day society, PEPS officials told journalists. The web is both for the general and profesional public, Winkelmannova said. One has to read the entries. They are quite detailed, targeting the professional public and the decision-makers who have, on the basis of the information, a better idea of how the state structures of eastern Europe ‘tick’, she added. The portal is to show how the secret services of the Soviet satellite countries, established at a command of the Soviet KGB, worked. It offers six icons, showing the structures of the StB. The National Cryptologic School is a school unlike any other. It’s extremely carefully guarded, for starters, with a series of checkpoints to get to class. Some of the students’ identities are secret. It is a question one expects to hear on Veterans Day, even though it is never asked by leading journalists or answered by the major candidates. But that basic question is: How will we now defend ourselves at home and abroad? In this three-part series, I argue that the current political sweepstakes has failed to stimulate a national conversation on defense, much less a working consensus (Part 1); that this buy-in is an essential first step in any blueprint for defending our interests at home and abroad against a widening array of enemies and threats (Part 2); and, finally in Part 3, that this conversation should include a wide-ranging debate on our national manpower policies, including some form of national service. There are two reasons why these issues have become so urgent. The first is that we are in serious difficulty, our once-proud foreign policy collapsing into a sea of troubles. President Obama recently boasted to the UN that he “commands the world’s most powerful military.” Yet skeptics contrast his failed red lines in Syria and temporizing over ISIS with Vladimir Putin’s quick dispatch of a robust Russian intervention force that instantly re-defined the Middle Eastern power calculus. Mr. Obama similarly promised a pivot to the Pacific while presiding over austerity measures that forced the US Navy to retire more ships than it is building. So when the Pentagon, recently disputing Chinese territorial claims, dispatched a guided missile destroyer to the South China Sea, the PRC obliquely threatened war. This increasing mismatch between words, means and ends carries the real risk of war-by-misadventure with Russia or China – citing only the short list of potential adversaries. SIMI VALLEY, Calif.—Senior U.S. military leaders have proposed sending more forces into Europe on a rotating basis to build up the American presence and are stepping up training exercises to counter potential Russian interference with troop transfers in the event of a crisis with Moscow. The new steps would allow for the presence of multiple U.S. brigades in Europe at any given time, increasing that number above current limits. They were outlined at a forum here over the weekend by military and defense leaders, who condemned military aggression and threats from Russian President Vladimir Putinand warned that the U.S. must not let Moscow’s cooperation with the West in Syria distract from the conflict in Ukraine. The worldwide threats confronting our nation, now and in the future, have never been more complex, uncertain, and daunting. America will not succeed in the 21st century with anything less than the most innovative, agile, efficient, and effective defense organization. I have not met a senior civilian or military leader who thinks we have that today. That’s why the Senate Armed Services Committee is conducting a major oversight initiative on the future of defense reform. The purpose of this effort is to ask what problems are impeding the performance of the Department of Defense, define these problems clearly, and rigorously consider what reforms may be necessary. Last month, we began a series of hearings to consider the strategic context and global challenges facing the United States, defense strategy, the future of warfare, the civilian and military organizations of the Department of Defense, and its acquisition, personnel, and management systems. Much of this is the legacy of the Goldwater-Nichols reforms that were enacted in 1986. These will be the subject of the committee’s hearing today.